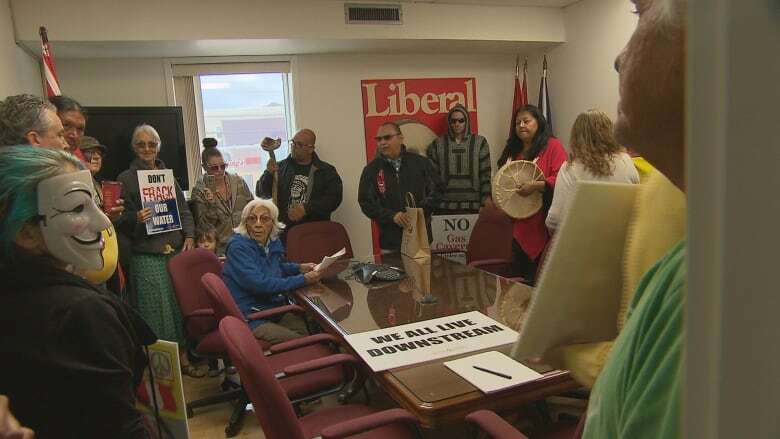 Members of the Mi'kmaq community occupied Fisheries and Oceans Minister Dominic LeBlanc's office in Shediac, N.B., Friday, demanding Ottawa speed up the process to designate Bay of Fundy rivers and streams as critical habitat for salmon. Protesters believe that plans to store natural gas in three underground salt caverns near Stewiacke, N.S., will lead to the release of salty water from drilling into the Shubenacadie River, which drains into the Bay of Fundy, and further endanger the salmon population. The Department of Fisheries and Oceans said Friday the Alton gas project will go ahead as planned. "At this time, an opinion has not been formed that the Inner Bay of Fundy salmon is facing an imminent threat to survival or recovery," said Carole Saindon, a spokesperson for the Department. "An emergency order to protect the species has not been identified as necessary," said Saindon. Saindon said Ottawa has recommended mitigation measures to avoid impacts to local fish species, and that the project is unlikely to result in "serious harm to fish." 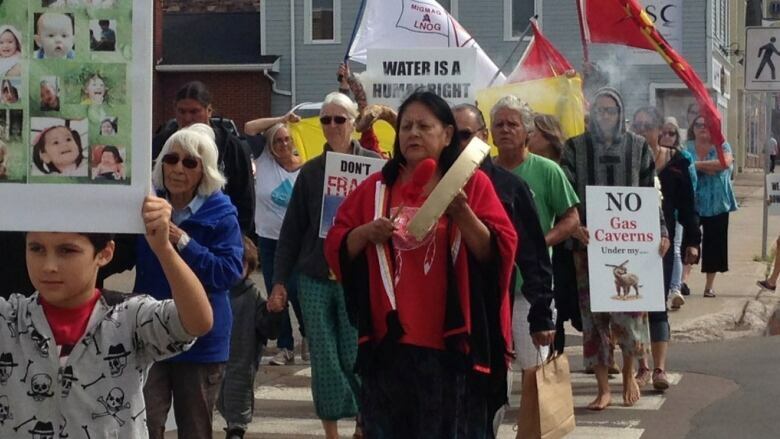 The Mi'kmaq community said it is prepared to use "unconventional means" — including occupying the river — if Ottawa doesn't listen to their concerns and the project goes ahead.